The twin words Concentration and Meditation form the inner core of the practice of Yoga. It is the key to the door of Inner Illumination and constitutes the central pivot round which all Sadhana in the spiritual field revolves. Dharma and Dhyana are the Yoga proper, leading to the consummation,Samadhi and Sakshatkara or Realization. 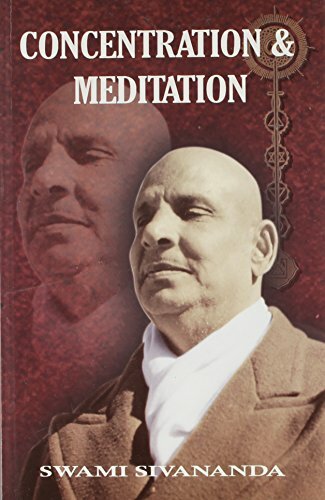 Revered Swami Sivanandaji Maharaj gives in this compact and exhaustive treatise on the great subject a thorough-going exposition of the intricacies of “Concentration and Meditation”, in a manner only a Master on the path would be able to do. Intensely practical, the work is an imperative to seekers and students on the Sadhana-Marga. Literature on this subject being very rare, special effort has been made to bring out the present edition. The popularity of the book is such that it has run into thirteen reprints since it was first published in the year 1945.